You are currently browsing the tag archive for the ‘overhead powerlines’ tag. 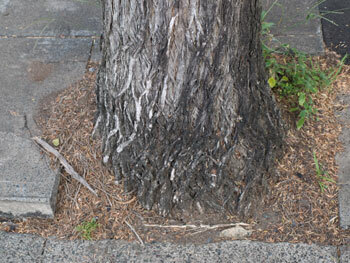 In news just in, the Victorian Labor state government has ‘refined’ rules regarding street trees & power cables. The new law, “set minimum clearance space” around cables. It ranges from 30cm to 3.5m, depending on the type of powerline.” The energy companies must be planning a big celebration party. Quite understandably, many of Victoria’s local Councils are very unhappy about the new rules, as the fine is $30,000, which I presume will be for each tree that breaches the clearance space. 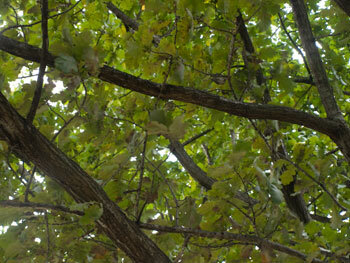 Councils will need to spend millions of dollars pruning & removing larger trees just to comply with the initial stages. Then there will be ongoing costs. This is death to most local government budgets. Here is where it gets really interesting. Melbourne is famous for its street & park trees. Having lived there I can attest that is it is a lovely green city with large street trees everywhere. 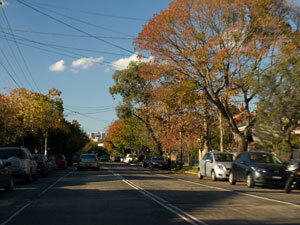 Most ordinary streets in Melbourne are what we in Sydney would call ‘an avenue of trees’ & regard as special streets. 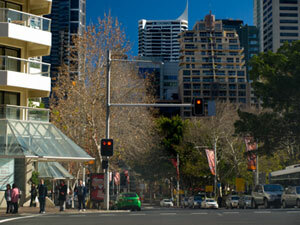 The city prides itself on its street trees & it has lots of urban wildlife. People & businesses take care of the street trees. 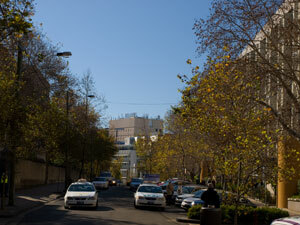 We visited Melbourne recently & it seemed that there were more trees than when I lived there. There was no rubbish around trees in the areas we visited, trees were not in cages, branches were not snapped off & main shopping strips were full of large leafy trees. Large street trees in the middle of the road is the norm. 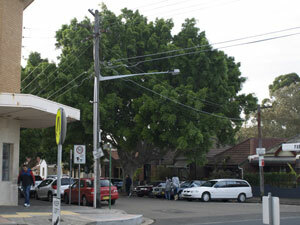 The general height of street trees in Melbourne is much higher than in Marrickville LGA. Most street trees reach well above the gutters of buildings & many are higher than the buildings themselves. Quite simply, the city & surrounding suburbs looked glorious. Speak to any Melbourne person about the street trees & watch their face light up. They love them. It makes a big difference to how a city & its suburbs work when there are a lot of street trees. People are drawn to eat outside. Melbourne is a coffee-drinking culture. There are hundreds of cafes with people sitting at tables eating & drinking under street trees. They were doing this as a norm 30 years ago, while here in Sydney it is a relatively new thing. Many of the street trees of Melbourne are deciduous so, like Canberra, they have visible seasons with autumn colours, bare trees in winter & spring growth. Because much of Melbourne is flat terrain, trees are visible in the distance. They also bring much beauty to industrial areas or areas where the quality of the buildings is not so attractive. Take the trees away & you have removed much of what makes Melbourne special. The city won’t recover & the loss of street trees will affect tourism in a major way. Add the fact that Melbourne is very hot in summer. Most years they have a few days of constant heat-wave conditions. Take the street trees away & the heat island effect is going to be horrendous. Then there is winter where the winds come straight from Antarctica & are bone-crunching freezing. With fewer street trees, the wind won’t be diffused & will roar around the streets. The heat will be hotter & the cold colder. To me the Victorian Energy Minister Peter Batchelor has made a really strange decision. In one foul swoop he will seriously affect tourism for the city, he will ensure rates rise dramatically, he will anger the Councils & seriously anger the people. How will they accept that their beautiful streets are going to be denuded & made ugly? The process may start, but I doubt it will last long once people & industries start noticing the impact & the loss of quality of life. Has the Minister not heard of global warming or climate change? Just how hot does he want the city of Melbourne & its suburbs to become? Imagine the follow through as more people go to hospital with heat, respiratory & cardiac related illnesses. The real winners of this decision are the power companies & the retailers of air-conditioning units. Every residence will need at least 1 air-conditioning unit & sales will go through the roof. More electricity will be used & power costs will increase dramatically. The city will pump out CO2 making us proud polluters in the world stage. Urban wildlife will die. The city will be dirtier from particulate matter & dust that usually gets picked up by the trees. People will be angrier. Graffiti will get worse as it is known to be high in areas that have few street trees. Rates will rise again just to pay for graffiti removal & state taxes will rise due to the increased pressure on the health system. It’s astounding that this ‘rule’ comes out of the mouth of a representative of the people who is supposed to be doing things for the people & for the benefit of the people. While the rest of the country & the world gets its act together about trees in urban areas & greens their cities, Melbourne will be doing the opposite. Right now Melbourne is a role model of what a green city looks like. Then the National Broadband Network will roll out. If they don’t put the cables underground, they will put them on the power-poles just like Optus did. They will probably want their broadband cable positioned another metre below the Optus cable & then all the street trees will have to be removed. Great move. I can’t imagine the people of Melbourne will just sit back & allow their suburbs be made into wastelands. I will watch how this pans out & report back on the most interesting bits. Good luck Melbourne.